When discussing any endeavor one of the things that comes up is whether or not you are “Successful”. The problem with discussing success in self-publishing is that everyone is going to have a different definition of success for themselves. Some people will consider a successful launch as success, while others will hold themselves to a dollar amount or a number of sales within a time frame before they consider their book a success. For example, I have 4 tiers that I feel my work will fall into once I get it published and into the public. Tier 1: Raging Success. Each book will not only recover it’s cost, but will fund above and beyond the cost of the next work (editing, advertising and cover work). Tier 2: Success. Each book will recover its own cost but will also make between 25-75% of its cost in profit, thus helping to fund the next book. Tier 3: Mediocre. Each book will recover it’s own cost and up to 25% extra. Tier 4: Not successful. The book, at best, recovers its cost or not at all. I plan on giving my books a 9 month window before I make a decision on the results. That will give me enough time to really work on the advertising and get the book out there as well as work on the next one and make adjustments based on feedback and sales results. So what do you consider success? Just getting published? A certain dollar amount or a certain number of sales within a given time frame? 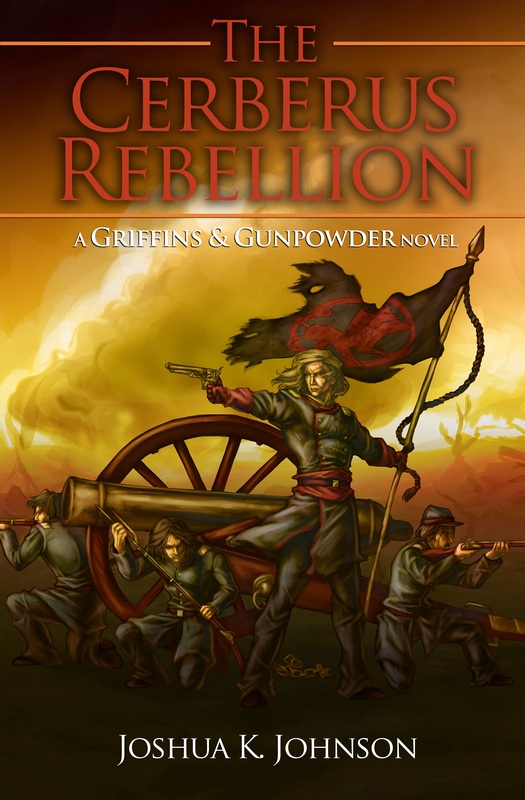 After fretting so much about the title of first Gunpowder Fantasy novel – how much of the plot to give away with the name, how to tie it to the relevant part of the story, etc – I finally decided on “The Cerberus Rebellion”. It makes it clear what the book is going to focus on without giving away too much. Soon after, the titles for the subsequent parts of the series and even a strong candidate for Series Name have emerged. And for book names I’m looking at using the sigil of each house as the focal point for the book and having that house do a lot of the work. The only thing that has to be settled is the sigil of a major house. I was going to have their sigil be a great-eagle but I couldn’t find a solid phrase that would work for a title. So now I’m leaning towards tiger or great-boar. The problem also arises that if I can’t get everything done in my planned stretch I’m going to run out of houses to focus on and will have to break my convention. But I suppose that I’ll build that bridge if it cones to it. So I think I’ve finally found my title (or at least narrowed it down to 2 options)! 42,000+ words in and it finally came to me. My problem, I think, was that I was trying to avoid giving away too much of the plot in the title. I realized, however, that to some point that can be a good thing. Additionally, my title choices don’t give away the series plot and instead focus on the events of the first book. So hopefully by August I should have “Hellhound’s Revolt” or “The Cerberus Rebellion” on e-readers everywhere! I’m going to admit, this is mostly a “To-Do” list for myself as I have a terrible time remembering the most mundane details of day-to-day life (ask my wife) while I remember the most minute details of half a dozen different fictional worlds. 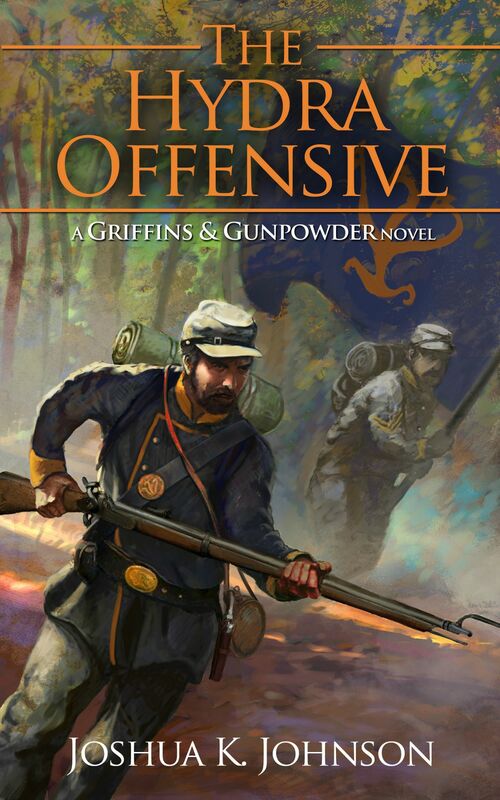 My primary goal, obviously, is to get my current WiP finished, run through beta-readers, edited and published. In working toward that goal, however, there are smaller milestones that I need to accomplish. The first of which is purchasing my Scrivener key. At the suggestion of several people on twitter and kindleboards, I decided to give this program a try and boy do I love it! The ability to have all of my research notes, family trees, character profiles and the like in one place makes life easier. I also need to get a website going. Hopefully my wife can find some time to help me with that in between her part time job and handling the now-walking hurricane that is our 1yr old son. Doing the math with where I am in my plot-line, how many words I’ve written and how many words I average per weekend, I think that by June or July I should have the novel through at least two rounds of beta-readers and hopefully have an editor arranged to send it off to. I’m also considering writing some short stories or novellas to go along side this world (maybe build some buzz for it) that I plan to write while my book is with my beta readers. So we’ll see how much I get done this year.